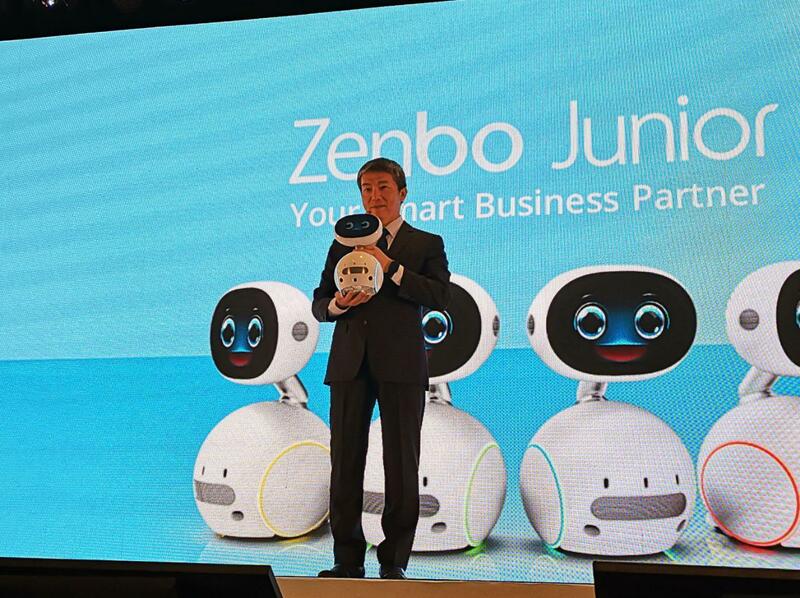 Today at the Incredible Intelligence 2018 Asia-Pacific regional launch event, ASUS surprised the crowd with the launch of the new robotics platform that they have been working on – Zenbo Junior. More than 2 years after the announcement of Zenbo robot, we finally saw a new product from the robotics lineup. ASUS has defined the Zenbo Junior as a “AI-enabled robotics platform“, rather than just a robot. While the physical robot will be provided, more importantly, developers will also have access to development tools – the Zenbo SDK, Sensors APIs and a Dialogue Development Editor. This allows developers to rapidly create software products on top of the Zenbo Junior robot for implementation and commercialization. It is heartening to know that ASUS has understood that while hardware is important, software, accompanying tools and developer support are also fundamental factors to the success in bringing a open robotic system out to the market. Zenbo Junior is not directly created for the general consumers. Therefore, you can’t just simply purchase a unit off the shelves and expect it to operate like your personal assistance. ASUS has to build a developer community to churn out different kinds of applications for the platform. They are doing this by targeting education institutes and software companies. Zenbo Junior comes with multiple sensors that can be used to understand and interact with the environment. The robot itself is built in with capabilities for navigation, lines following, and avoiding objects with its sonar sensor. It can also respond to touch interactions with different types of responses. Developers should rejoice, as a layer of abstraction has already been created for Zenbo Junior. Development on the Zenbo Junior should be a lot simpler as lower level implementations will be transparent to developers. Alongside with Zenbo Junior, ASUS also released the Zenbo Management Console and App Builder Pro tools to make it easier to create and deploy robotics apps and solutions. Zenbo Management Console will help you manage multiple robot devices remotely, while App Builder Pro simplifies the process of creating menu-driven interfaces with interaction with users.